Katy from CBeebies visits Ragus and helps make Eastick’s Golden Syrup! The popular and exuberant Children’s TV presenter Katy Ashworth from the CBeebies channel visited Ragus and helped make Eastick’s Golden Syrup! Most people with small children are very familiar with The CBeebie channel. One of the most popular programs is “I can cook with you” starring Katy Ashcroft. Each episode features a main ingredient and in this episode Katy has chosen Eastick’s Golden Syrup as the key ingredient for making delicious “Picnic Parkin”. 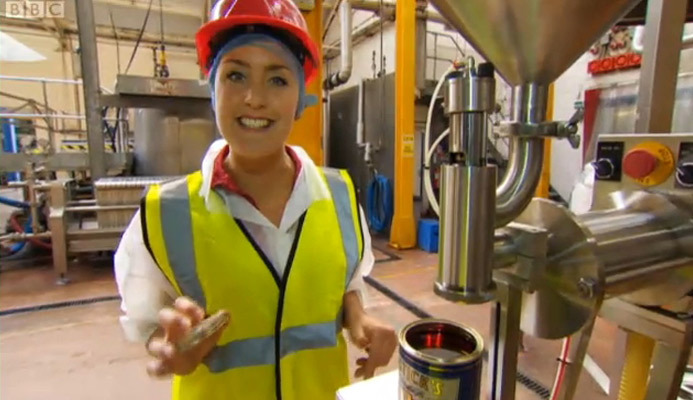 BBC films how to make Golden Syrup.